The study of forensic evidence using archaeology is a new discipline which has rapidly gained importance, not only in archaeological studies but also in the investigation of real crimes. Archaeological evidence is increasingly presented in criminal cases and has helped to secure a number of convictions. Studies in Crime surveys methods of searching for and locating buried remains, their practical recovery, the decay of human and associated death scene materials, the analysis and identification of human remains including the use of DNA, and dating the time of death. The book contains essential information for forensic scientists, archaeologists, police officers, police surgeons, pathologists and lawyers. 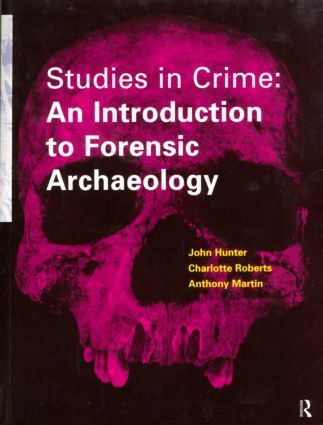 Studies in Crime will also be of interest to members of the public interested in the investigation of death by unnatural causes, both ancient and modern.